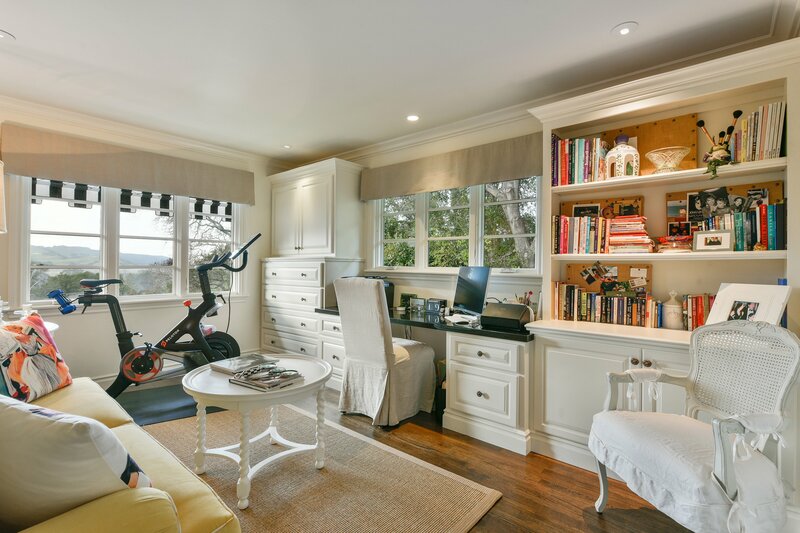 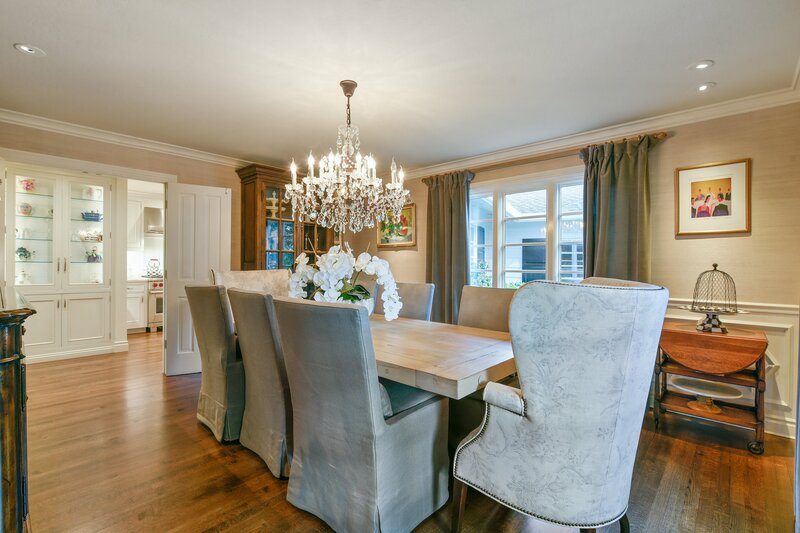 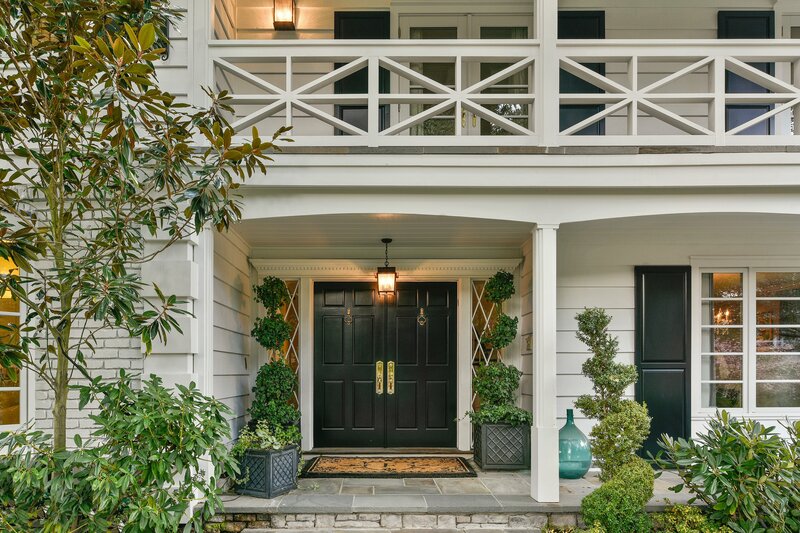 Elegant and sophisticated with a warm and welcoming ambience, this custom designed two-level home showcases recent renovations and upgrades unveiling a home of distinction in Orinda’s Country Club neighborhood. 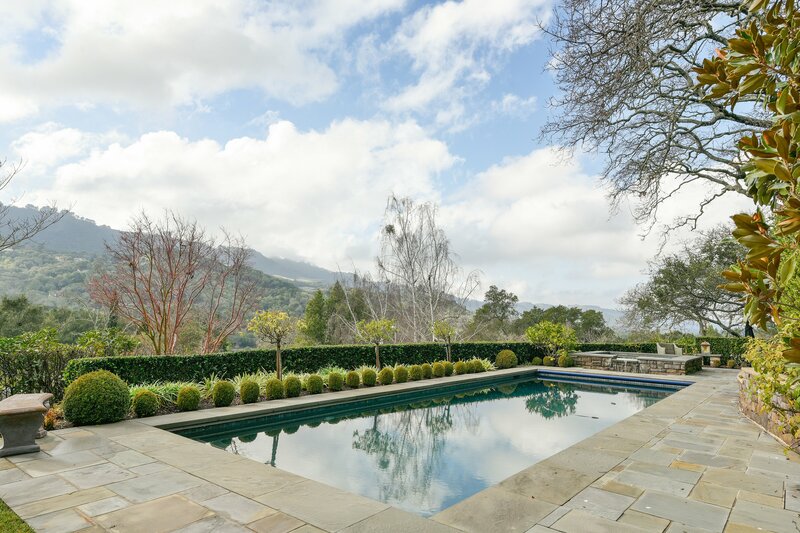 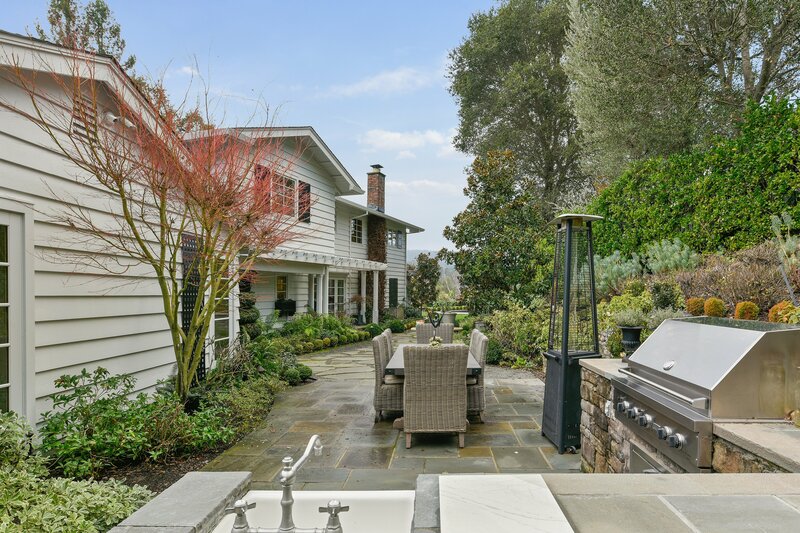 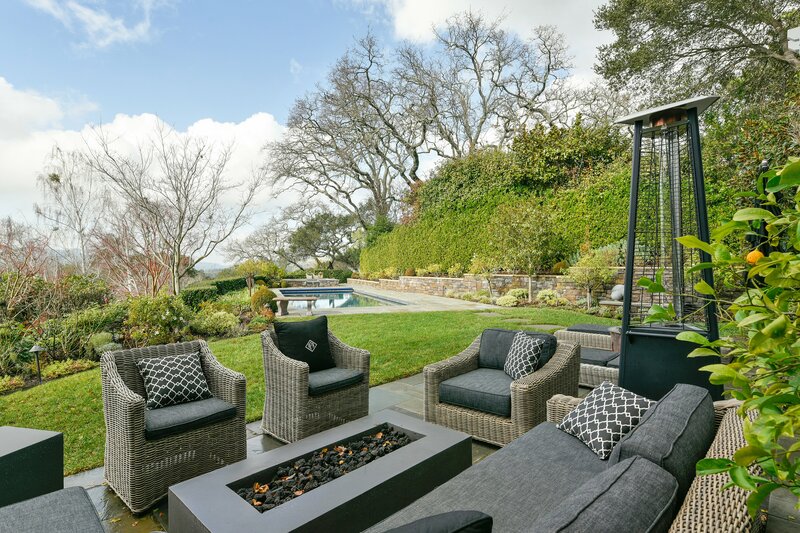 Designed by renowned architect Harold Smith and wrapped in enchanting gardens designed by David Thorne, this approximate 4,200 square-foot home sits on almost a half acre with breathtaking hillside views. 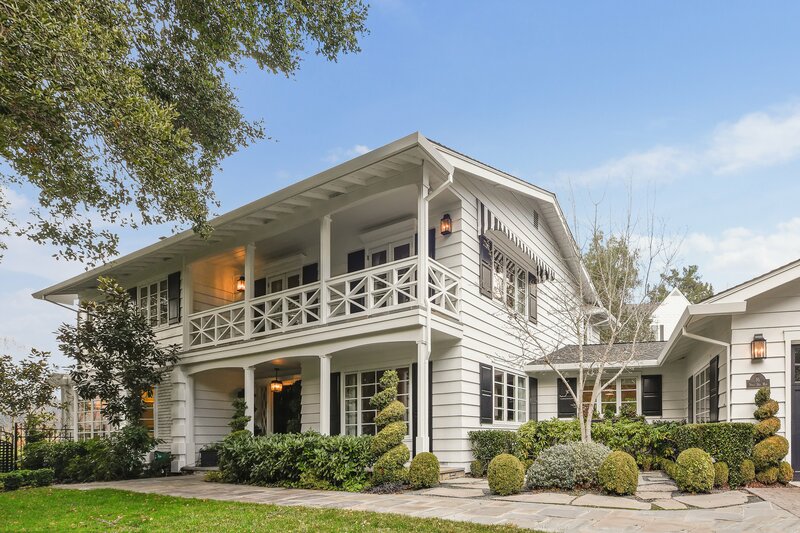 Its impeccable interior design features new rift and quarter sawn red oak stained floors, freshly painted crisp white millwork and built-ins, oversized windows, and multiple French doors that create a seamless flow to garden venues, pool and patios. 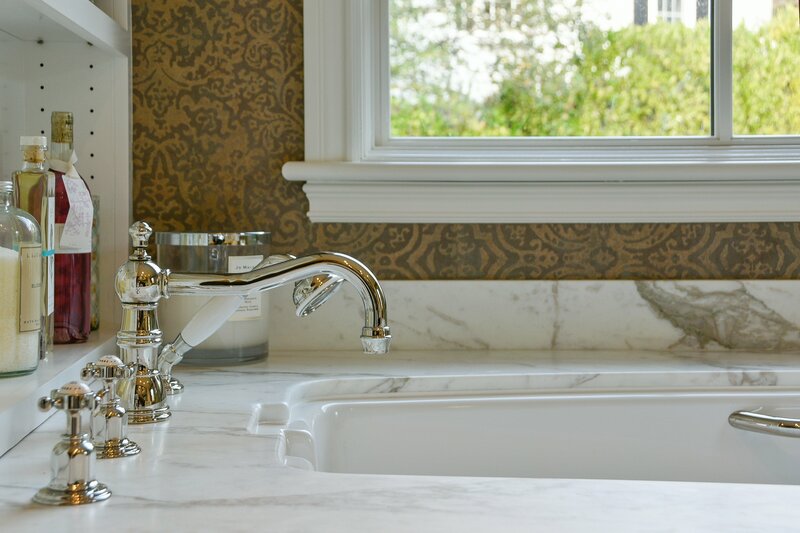 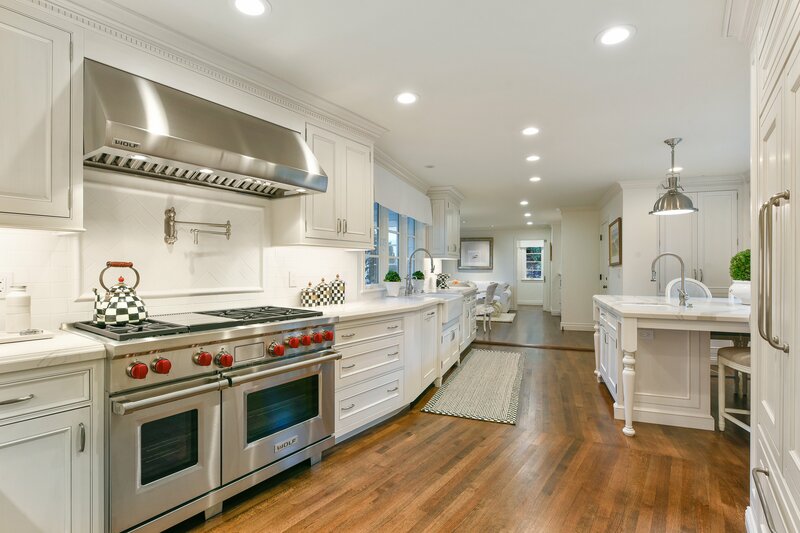 Technology was enhanced with an added leak defense system that automatically shuts off the water, a Control 4 home automation system, and Nest thermostats. 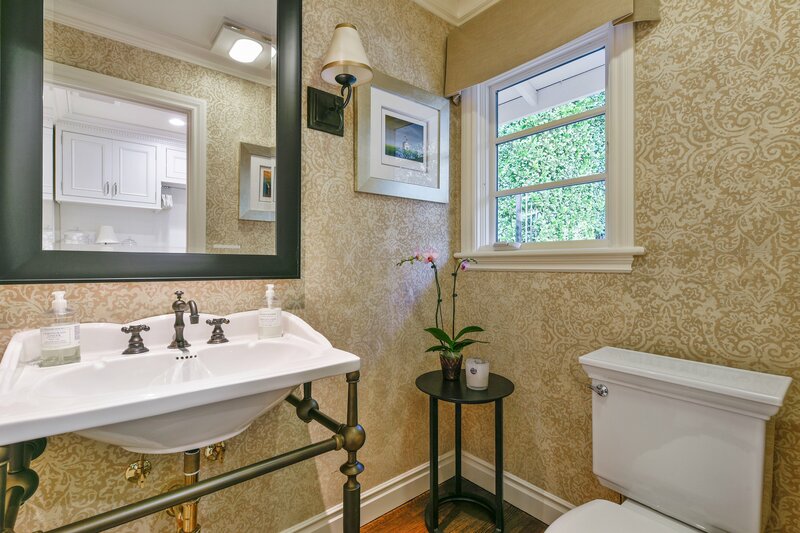 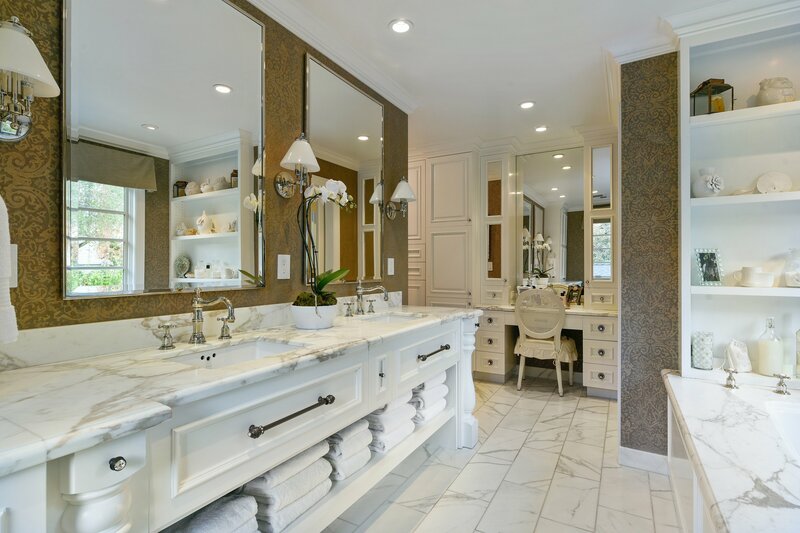 There are four bedrooms, two full bathrooms (potential for 3) and two powder rooms. 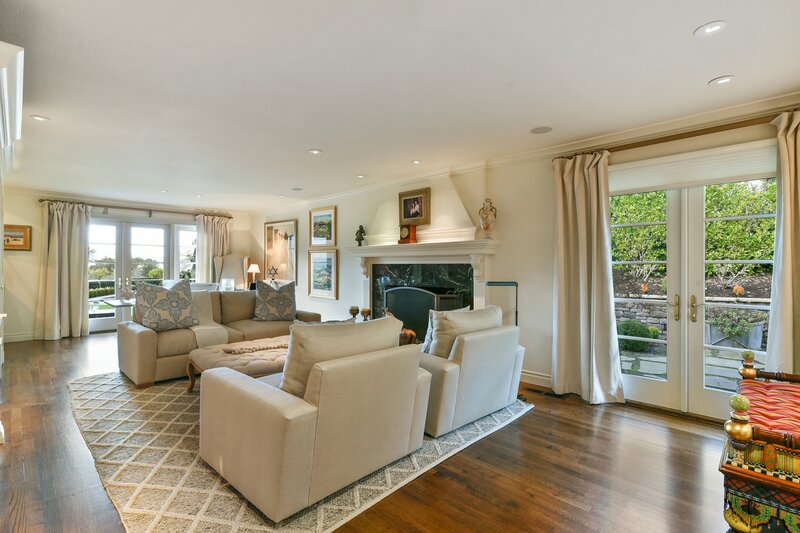 A large formal living room is ideal to entertain on a grand scale and features a front-facing picture window and French doors on either side of the gas fireplace. 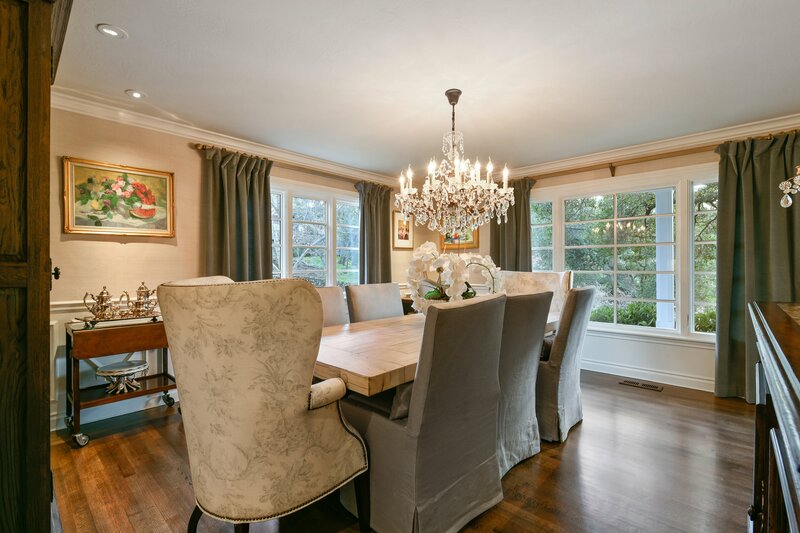 The formal dining room has wainscot and grass cloth walls and also features an Australian crystal chandelier. 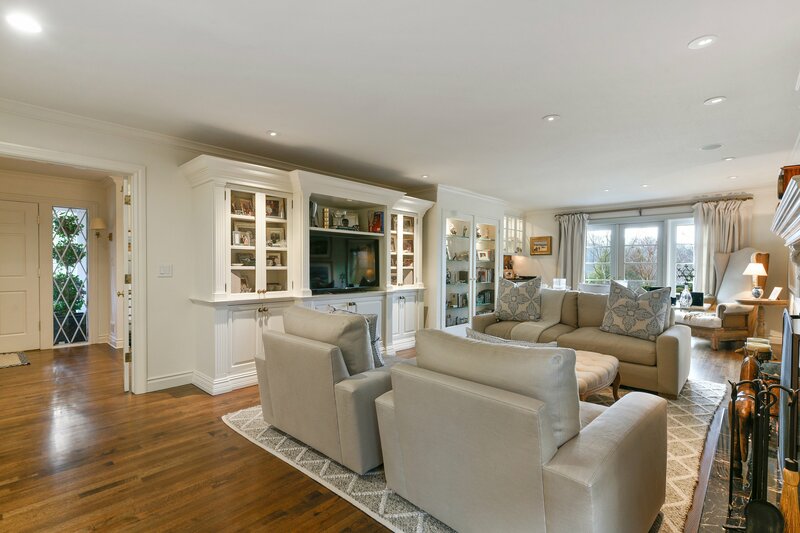 A spacious family room has a wood-burning fireplace, built-in cabinetry, wet bar and French doors. 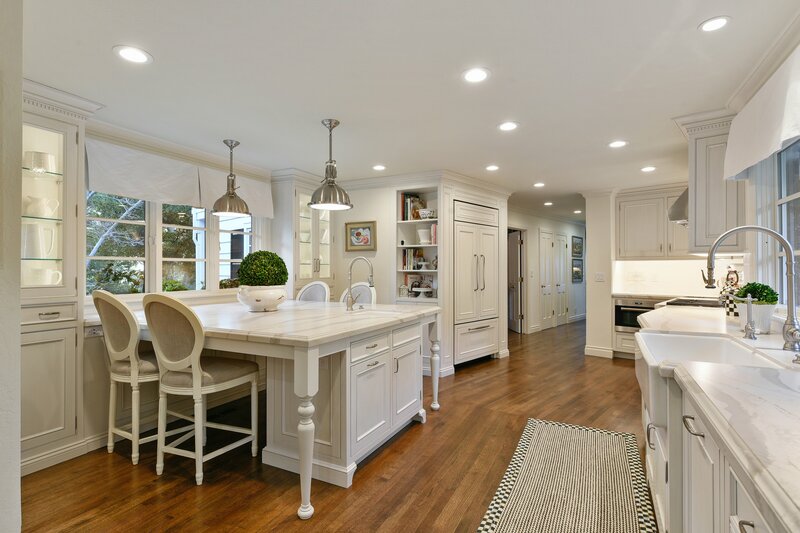 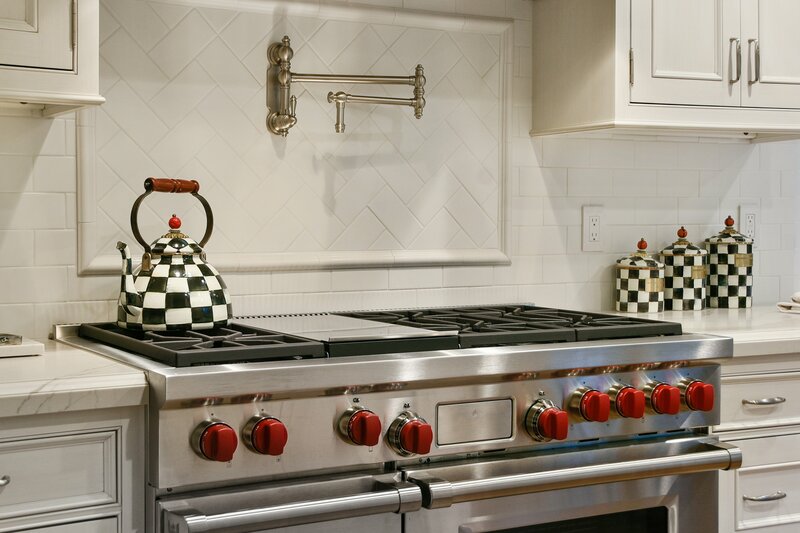 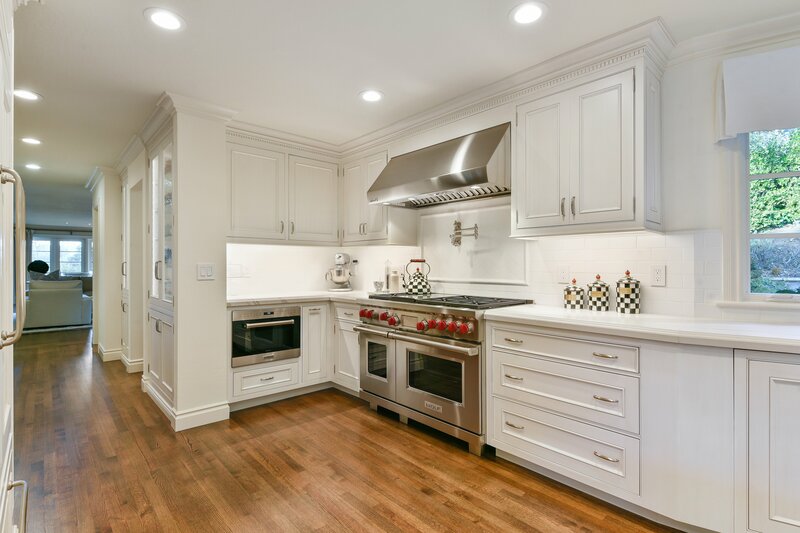 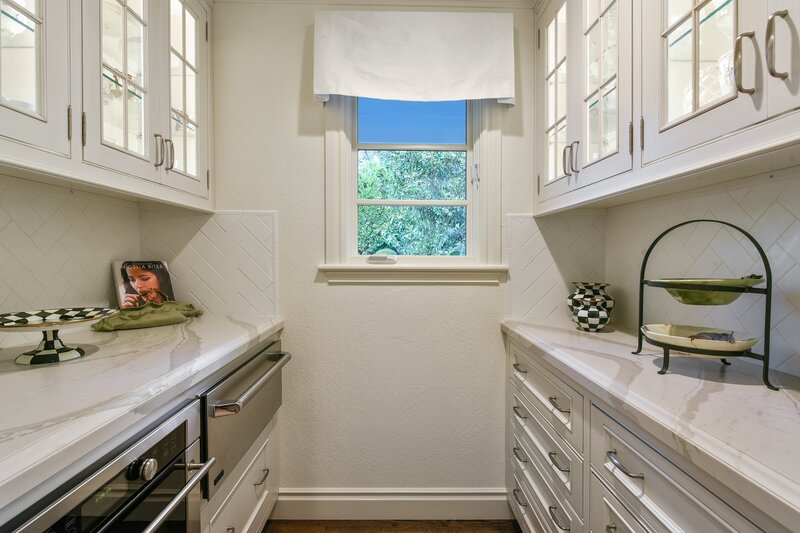 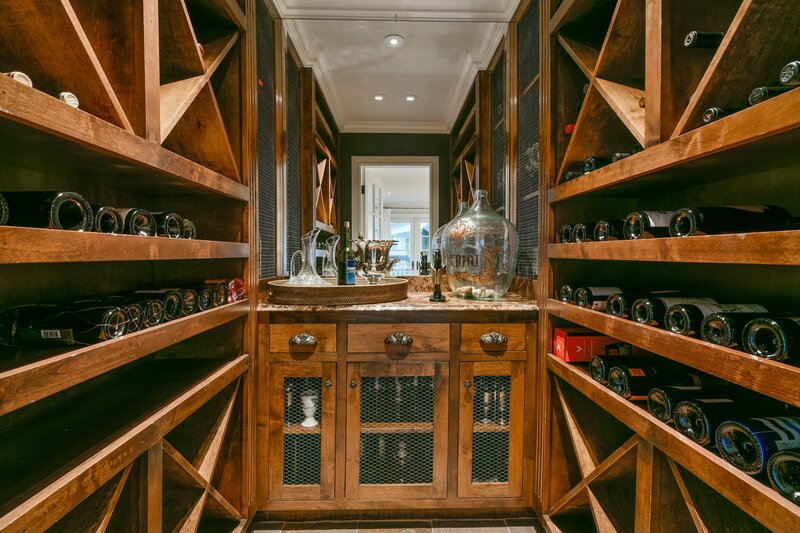 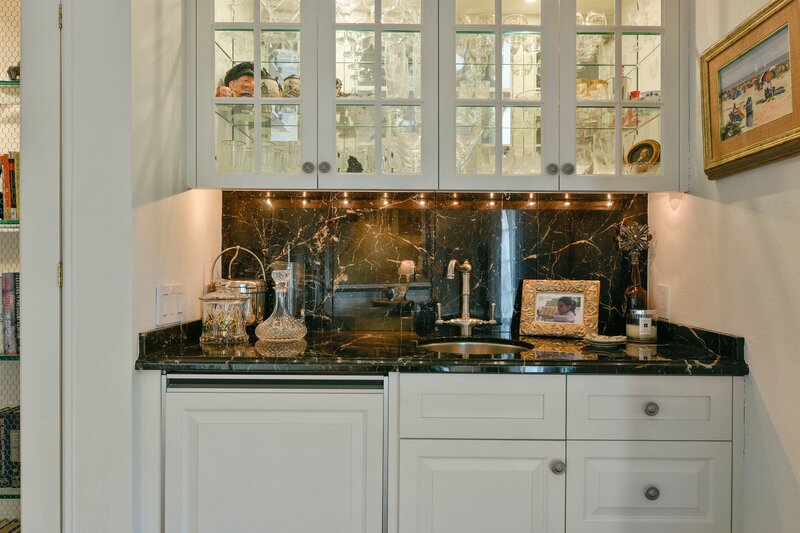 The gourmet kitchen was completely renovated from the glass-fronted curio cabinets flanking the butler’s pantry to the sleek quartz countertops, new Wolf and Bosch appliances, Waterstone faucets, and painted custom Woodmode inset cabinetry. 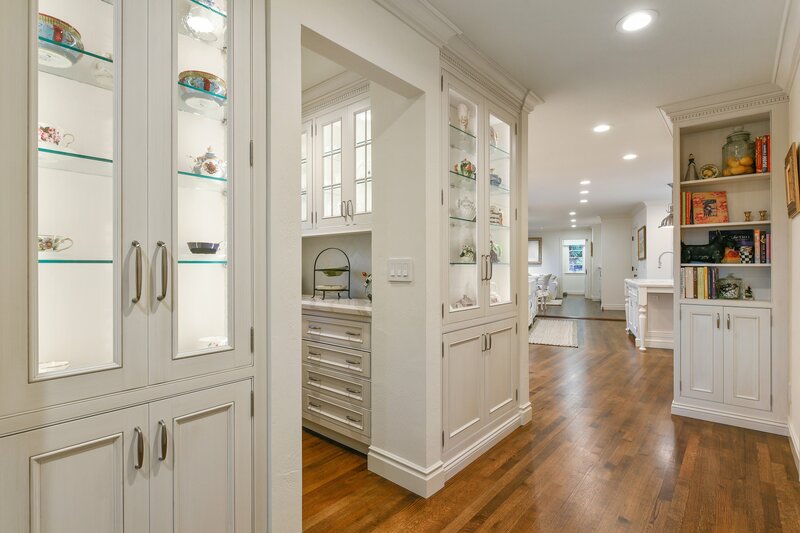 The adjacent breakfast room also has built-in inset cabinetry and is ideal for morning coffee, office, or playroom. 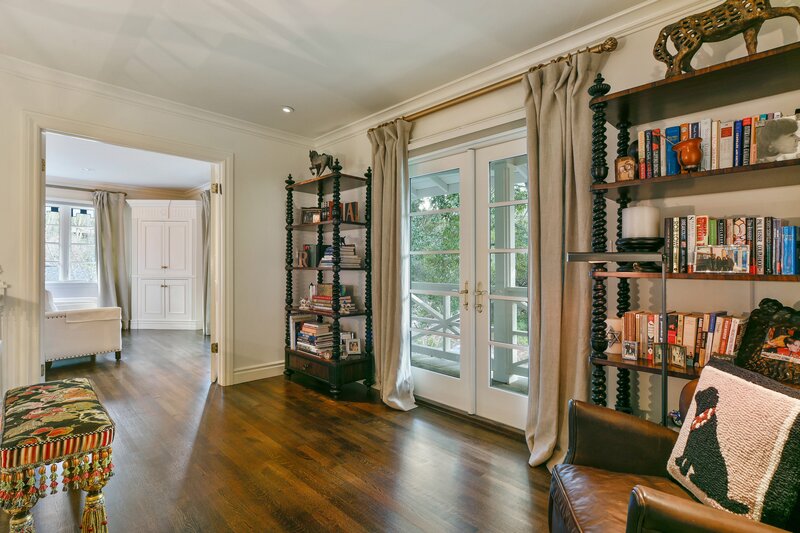 French doors from this room also open to the gardens. 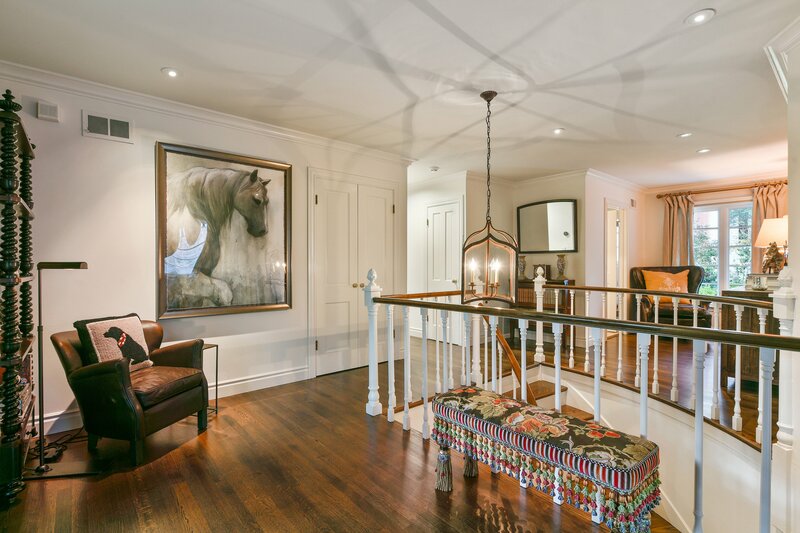 Red oak floors continue up the sweeping staircase and into the landing and a cozy reading nook. 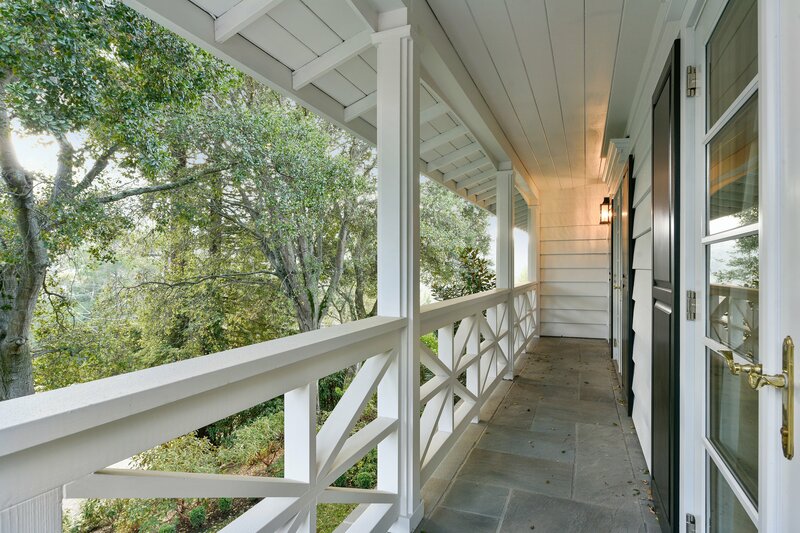 The master bedroom wing is a private sanctuary with French doors to a private front-facing balcony. 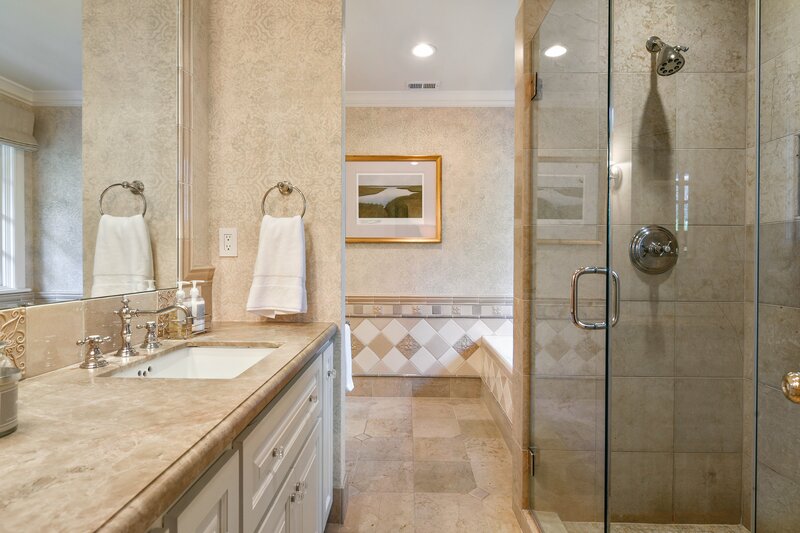 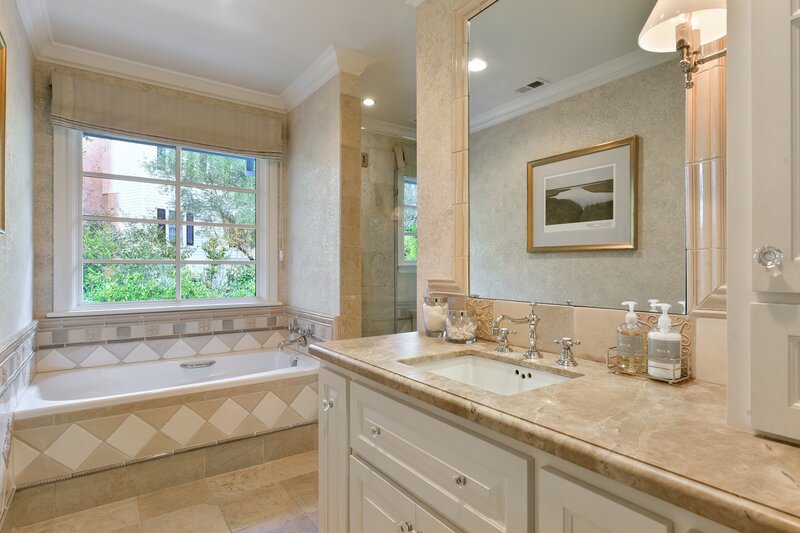 Radiant heated floors warm the spa-inspired bathroom featuring Calacatta marble counters and shower and tub surround. 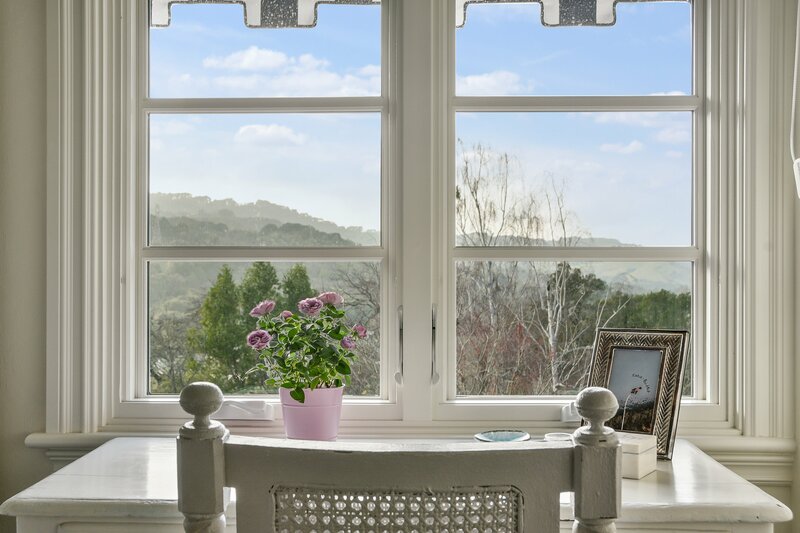 Three additional bedrooms are spacious, enjoy garden and hillside views and share a full bathroom with separate tub and shower. 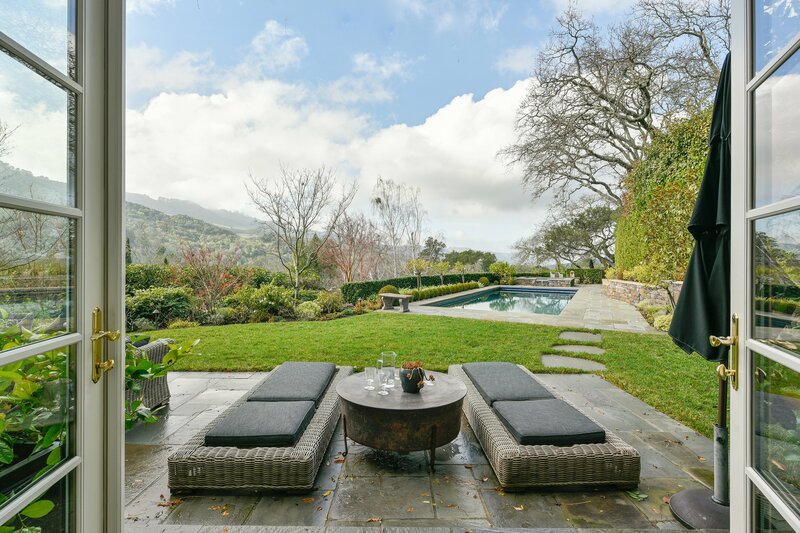 Connecticut Bluestone patios wrap around an inviting swimming pool and spa and offer lots of space to entertain and or just lounge and stare at the views. 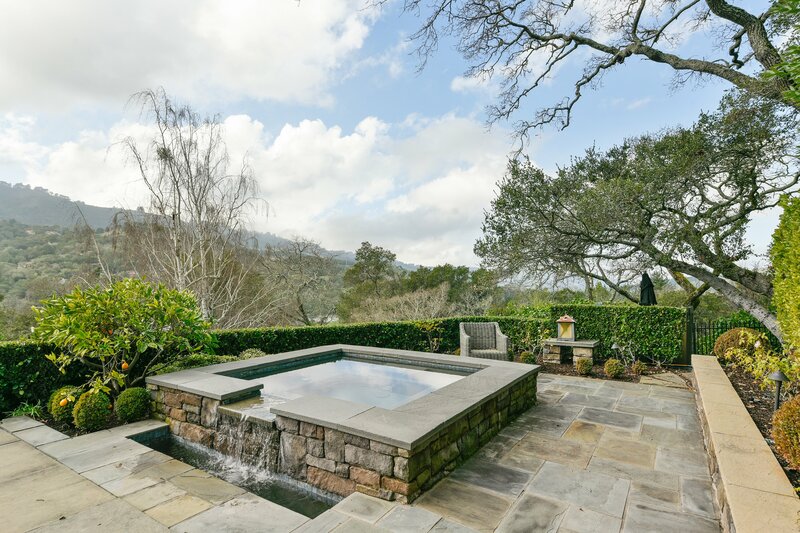 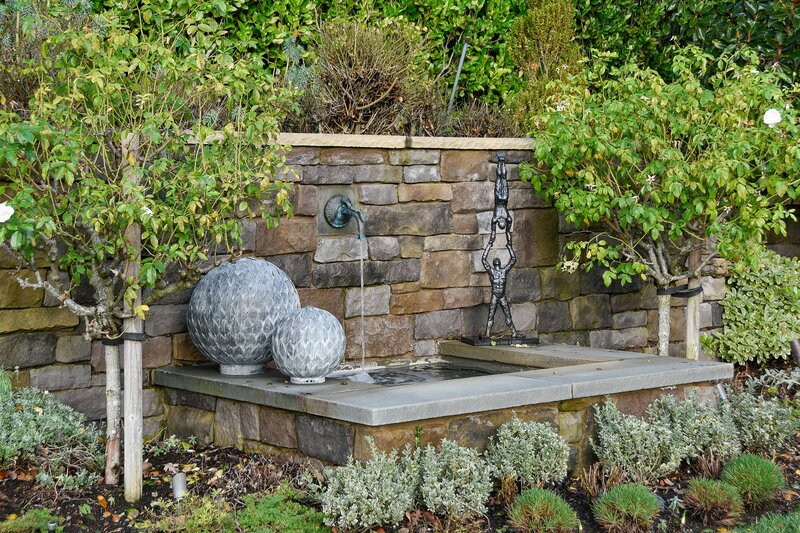 More than 200 roses including ice berg and tree roses adorn the grounds that were designed with two fountains, an outdoor kitchen, manicured boxwood hedges, colorful foliage, a perennial garden and arbors dripping in garlands of wisteria vines. 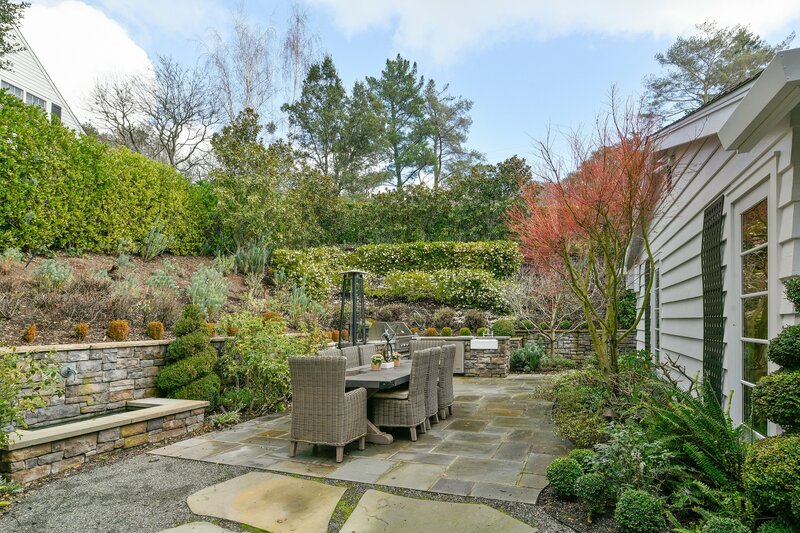 The garden was one of five gardens featured in the 2017 Orinda Garden Club’s “Tea In The Garden” tour, an annual fundraiser benefitting the beautification of Orinda, scholarships, and donation to local non-profits furthering horticulture. 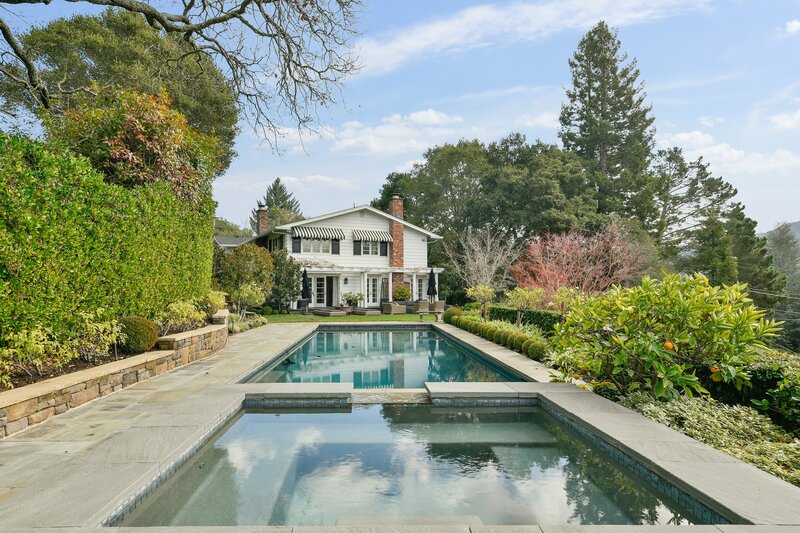 Desirable Orinda Country Club location is just minutes from the Orinda Village, BART, access to Highway 24, top-rated schools in the Orinda and Acalanes school district, and about 20 miles from downtown San Francisco. 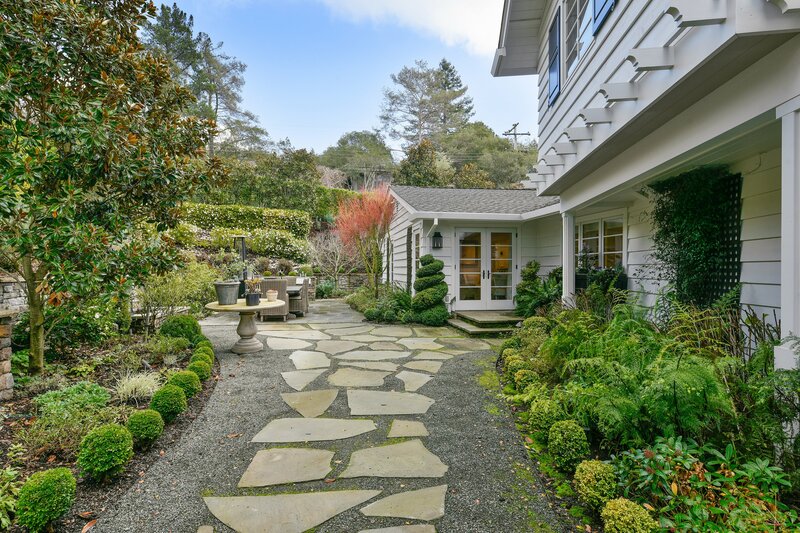 Enjoy the proximity to many outdoor recreation areas including Briones and Tilden Regional Parks, and the Lafayette Reservoir in addition to the historic Orinda Club offering premier golf and recreational facilities, clubhouse, dining and banquet venues, and tennis.